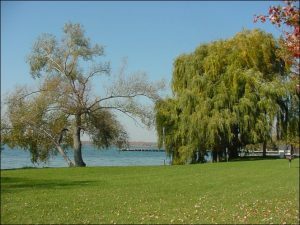 Cayuga Lake is the second largest Finger Lake behind Seneca Lake. It is the longest and second deepest of the eleven Finger Lakes. Due to its large size and significant depth, it takes water that draining into the lake over 10 years to cycle through the lake. 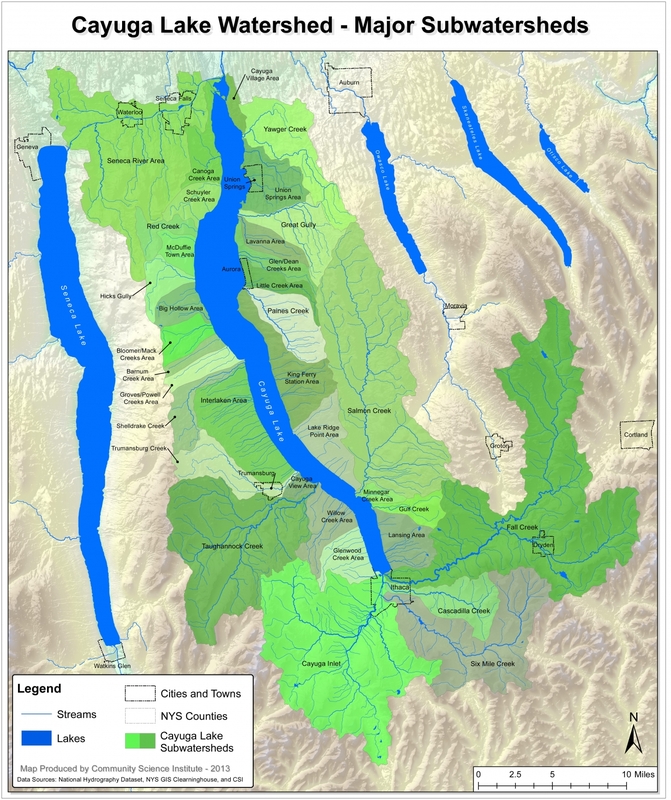 Cayuga Lake also has the largest watershed covering 785 square miles. The watershed includes 6 counties and 44 municipalities and is home to over 120,000 people. Towns adjacent to the Lake: Towns of Aurelius, Genoa, Ledyard, and Springport in Cayuga County. Towns of Ithaca, Lansing, and Ulysses in Tompkins County. Towns of Covert, Fayette, Ovid, Romulus, Seneca Falls and Varick in Seneca County. Cities/Villages adjacent to the Lake: Villages of Aurora, Cayuga and Union Springs in Cayuga County. City of Ithaca in Tompkins County. Counties: Cayuga, Tompkins, Seneca, Cortland, Schuyler and Tioga Counties. Towns within the watershed: Towns of Aurelius, Fleming, Genoa, Ledyard, Locke, Scipio, Sempronius, Springport, Summerhill and Venice in Cayuga County. Towns of Caroline, Danby, Dryden, Enfield, Groton, Ithaca, Lansing, Newfield and Ulysses in Tompkins County. Towns of Covert, Fayette, Lodi, Ovid, Romulus, Seneca Falls and Varick in Seneca County. Towns of Cortlandville, Harford, Homer, Scott and Virgil in Cortland County. Town of Catharine and Hector in Schuyler County. Town of Spencer in Tioga County. Cities/Villages within the watershed: Villages of Aurora, Cayuga and Union Springs in Cayuga County. City of Ithaca and Villages of Cayuga Heights, Dryden, Freeville, Lansing and Trumansburg in Tompkins County. Village of Interlaken in Seneca County. 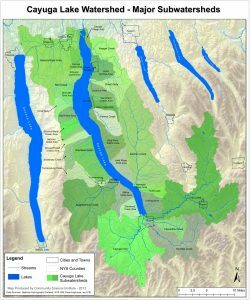 The Cayuga Lake Watershed Restoration and Protection Plan was updated in 2017. Also, a Total Maximum Daily Load (TMDL) Plan is being developed for Cayuga Lake.